I have the Quinjet MISB, big and promo hulk, and a couple of the CMF's like the gladiator and Roman( did I see the Roman on there). A few other things too. Black Widow, boxer, Lady Liberty, Thor. Didn't see the Monster Fighter stuff on there, I have those too. I am intrested for sure. I know you didn't aak for those, but they're in the same themes as some of your wants so I figured I'd list them. All MISB. Also have Series 7 cases and LOTR stuff. How does vampyre castle, hearse, mummy, swamp monster and some mini figs sound? I bid on one a week ago that ends here soon, been looking for the Cantina for awhile now. If I don't win it I'm sure we can make a deal, although I don't have the mummy. Just got one off of EBay for $125 shipped. I'd be interested in another, but I doubt you want to go that low. I'd do the Castle, the Hearse, the Roman, the Gladiator, and as many of the missing CMF's on your list I can find. That would equal to about $150 retail, maybe a few bucks more. I could wait a few days if you want to try and get a better deal. 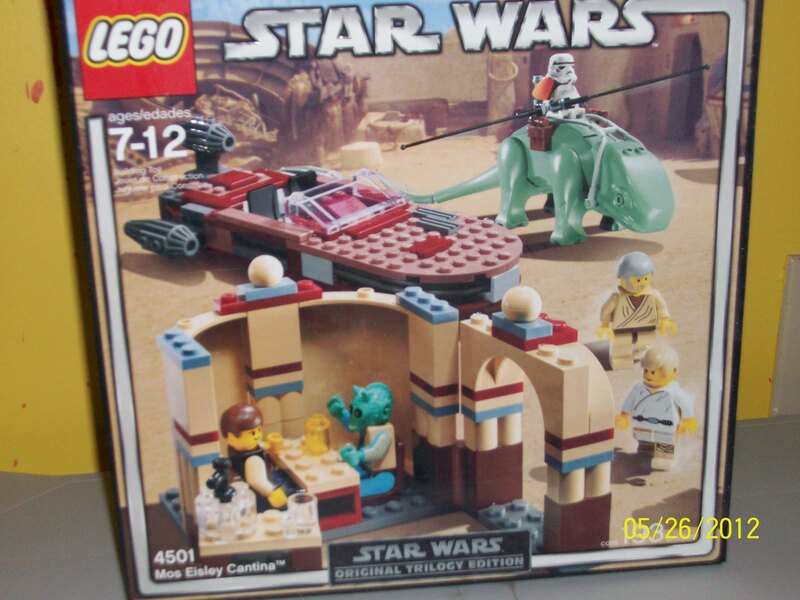 It's a really cool set, so I can't blame you if you want top dollar for it.